The Rutland Economic Development Corporation has moved its headquarters into Castleton's downtown Rutland campus. The two organizations are joining forces to boost new business growth in the region. Castleton University’s footprint in Rutland has been growing in recent years, with multiple art galleries and a downtown Rutland campus that houses entrepreneurial programs and a polling center. Now the university is expanding into economic development. It means Lyle Jepson wears two hats. He’s dean of entrepreneurial programs at Castleton University and he’s the new executive director of REDC, the Rutland Economic Development Corporation. Rutland’s Economic Development Corporation was founded nearly 80 years ago to attract and support businesses and manufacturers with loans, expertise and other services. Jepson says that won’t change, but considering the area’s aging work force and declining population, he says the organization needed a fresh approach. 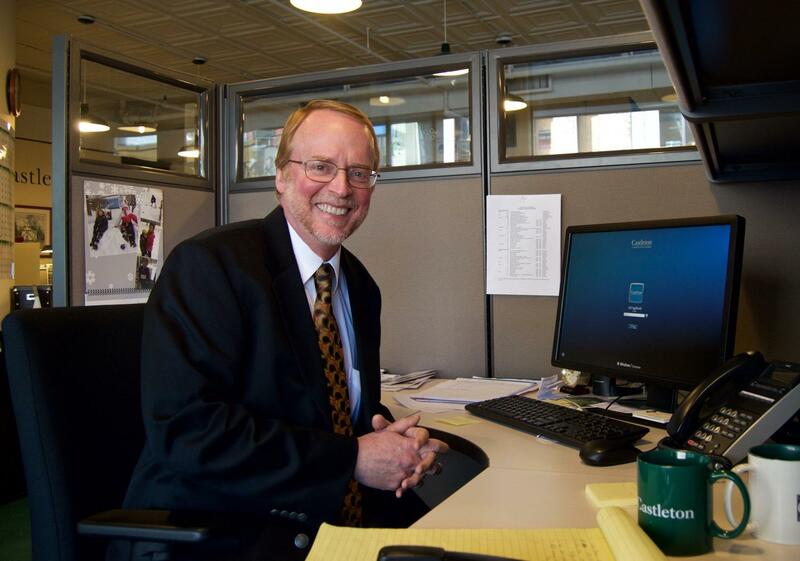 Lyle Jepson, dean of entrepreneurial programs at Castleton University, is also the new executive director of the Rutland Economic Development Corporation. REDC recently moved its offices to Castleton's downtown Rutland campus, a cost-saving move that Jepson says has allowed REDC to add new personnel. Moving REDC into Castleton’s downtown Rutland office was step one. Other organizations like the Small Business Development Center, the state’s local procurement counselor and the Rutland Young Professionals are located in the same building. Jepson says that provides business owners and entrepreneurs with one-stop shopping. REDC is funded with a state grant, rental income and membership dues. 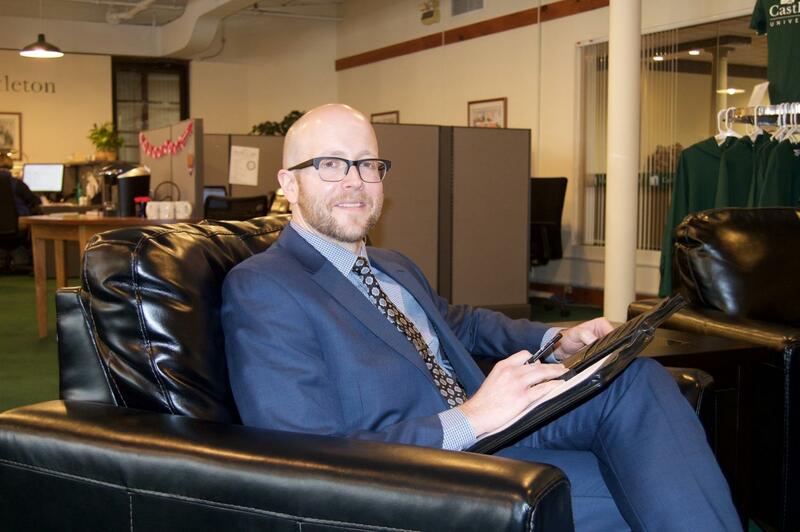 Jepson says sharing office space with Castleton’s downtown Rutland office cut overhead and allowed REDC to hire two new assistant directors, Sara Gilbert and Tyler Richardson, both of whom are under 40. Tyler Richardson will serve as an assistant director at the Rutland Economic Development Corporation. Richardson, 37, recently moved to Vermont from Nebraska and says Rutland has much to offer new and existing businesses. Their input, says Jepson, plus closer ties to area colleges and technical centers will better connect REDC to the next generation of workers and entrepreneurs. Ben Clark, CEO of Ann Clark Limited, a Rutland company with 25 employees that manufactures cookie cutters, likes REDC’s new approach and its ties to Castleton University. But Mark Youngstrom, of Otter Creek Engineering, a civil engineering firm with 16 employees, is more skeptical. He says he was surprised by REDC’s shake up and will take a wait and see approach to Jepson’s leadership. But he agrees that strong ties to higher education are important and he hopes REDC will reach out beyond Rutland County to schools like UVM, Norwich and Dartmouth. Tom Donahue, CEO of the Rutland Region Chamber of Commerce, says employers are increasingly complaining about the shortage of skilled workers in the area. But he thinks REDC’s new approach will help address that. Besides helping local businesses, Lyle Jepson says being able to link students to better internships and higher paying jobs will make local colleges and technical centers more attractive. He says currently only about 35 percent of Rutland County residents have a college degree - a number he’d like to increase. The board of Castleton State College voted unanimously Thursday to change the school’s name to Castleton University. The change makes Castleton the state's second public university. University president Dave Wolk said the change reflects the institution that Castleton is becoming. Wolk said growth in the number of graduate programs and students, Castleton’s international recruitment efforts and its expanding presence around Vermont fit better with the “university” name. “It reflects who we are as well as who we aspire to be,” Wolk said. Castleton University has been steadily expanding its art footprint in downtown Rutland. To shine a light on all the new art, the college will begin new guided art walks in downtown Rutland on Saturday afternoons starting Nov. 28.